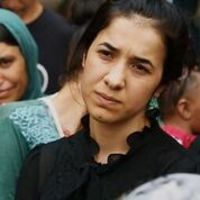 Join Peace House for this free screening of 'On Her Shoulders' about the unshakeable Nadia Murad, who survived genocide to become a UN Good will Ambassador and Nobel Prize Winner, she shares her urgent story in On He Shoulders, the Sundance fest-winning documentary from Alexandria Bombach. Followed by a panel discussion with Julie Stevenons of the UDVC and Pam Silberman of IRC and moderated by Renee Bodley GM of KPCW. Come early to visit with representatives of the Wasatch and Summit County Domestic Violence Coalition. In partnership with Park City Flim Series and sponsored by Utah Film Studios and Crandall Capital.